← Are You Appalled, Yet? (Sarcasm alert!) I love all the editorializing. I love “Waiting for Superman.” I love John Stossel’s claim that schools are bad because public education is a monopoly. And I love the belief that chartering, vouchering, magnetizing, marketing, or profiteering will improve public education. The point of my book is that none of this will improve education, if our purposes remain the same. So, let’s cut the crap. Without an inspiring, useful definition of what it means to be educated, education improvement efforts will fail for the same reason they have failed for 60 years — our purposes do not inspire teaching and learning. 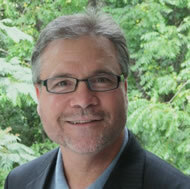 According to John Goodlad, the American public wants schools to achieve four purposes: (1) academic preparation (for college), (2) vocational preparation (for jobs), (3) civic preparation (for democratic participation), and (4) personal growth (as a foundation from which young people can become decent old people). Are these inspiring purposes? Some teachers are inspired to help young people develop in these ways. Many are not. “Bad” teachers — the ones Stossel says are protected by union contracts, but are really protected by our failure to define what it means to be educated in an inspiring, useful way — are not inspired by these purposes. If they were, they wouldn’t be “bad” teachers. More importantly, now that the purpose of public education has been narrowed to achieving higher standardized test scores, inspiration has been sucked out of public school hallways and classrooms. I am sorry to predict the failure of education improvement, but how could it be otherwise? Pick your favorite improvement idea — charters, vouchers, lotteries, magnets, for-profits, differentiated instruction, teaching for results, integrated units, high expectations, tracking, not tracking, more technology, less technology, professional learning communities, Waldorf, AVID, etc. Now require teachers to adopt any of them, but don’t ask them to model and teach understanding and imagination (intellectual virtues), strong character and courage (character virtues), humility and generosity (spiritual virtues). No matter which improvement program is tried, there will be no improvement. 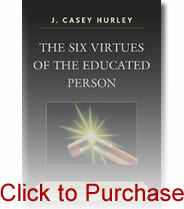 How could there be, when teachers do not model and teach the six virtues of the educated person? What if we took the opposite approach — require teachers to do nothing different, except intentionally model and teach the six virtues. The result would be improved teaching and learning in every area we want schools to improve in — college prep, vocational prep, civic engagement, personal growth. How could it be otherwise? All organizations improve in areas where they focus their energies. If a furniture manufacturer wants to improve quality, it starts a quality initiative and puts more resources into producing a higher quality product. Voila! — improved quality. If the same manufacturer wants to lower prices, it starts a cost-control initiative and puts more resources into reducing costs. Voila! — same quality at lower cost. One reason schools don’t teach all six virtues is that public schools are driven by a political core belief, and parochial schools are driven by religious ones. Schools teach the virtues of understanding, strong character and generosity because these virtues don’t threaten political or religious beliefs. They fail to teach imagination, courage, and humility; however, because these virtues do threaten political and religious beliefs. Neglecting these virtues means we graduate individuals whose understanding is unimaginative, whose strong character is fearful of truth, and whose generosity emerges from pride. I am not suggesting a conspiracy. I am saying it serves the interests of political and religious “believers” to teach intellectual incompetence, fear of truth, and pride because intellectually incompetent, truth-fearing, proud students can’t challenge political and religious beliefs. And they become adults who can’t challenge them, either. Thanks to all the hype around “Waiting for Superman,” we have a new opportunity to cut the crap. That’s unarguable, and the Obama administration’s Race to the Top program has turned out to be a terrific engine for forcing politicians and unions and education experts to create better ways to get rid of inept or lazy teachers. Three years later, if that’s true, where are the examples of “inept or lazy teachers” who were gotten rid of because of RTTT? I must have missed it. I would appreciate it if Ms. Collins showed them to me. Why do you suggest religious “believers” teach intellectual incompetence, fear of truth, and pride? I have seen that in some religions, but not all. My experience is that religions are based on myths. That is why religious people take certain things on faith. That is another way for them to say, certain things are the myths we believe. The Greeks came up with what we now call mythology — a system of gods that explained the world and human experience. We no longer believe those myths, but our religions provide us with others. The distinction historians draw between Greek myths and our current ones is that today’s western religions are mono-theistic (Judaism, Islam, and Christianity), but Greek mythology (and some Eastern religions) are polytheistic. But myths are myths, regardless of how many gods are involved. The reason this is important is that religious believers are like all of us. We don’t want our beliefs challenged, and neither do they. The only danger to religious believers is people who have educated themselves in the development of imagination, courage and humility. Therefore, religions don’t take any chances as they educate followers to be intellectually incompetent, fearful of truth, and proud. Challenge and danger averted. That is why public schools also teach the same 3 vices. In their case it serves the interests of politicians. Citizens who are intellectually incompetent, fearful of truth, and proud can’t challenge the status quo, which is the situation the politician does not want to change because it is the situation he/she was elected into. I would say mine is less a conspiracy theory than a “follow the money,” “follow the self-interest” theory. In my experience following the money and other self-interests helps me understand a lot of things. I always test them in new situations. Most of the time they explain things pretty well. Beliefs rooted in truth should withstand challenges. Perhaps what one chooses to believe is “truth” is what we don’t want challenged. At some point I believe there has to be given facts that we just believe to be true upon which we build. I don’t find any of these virtues threatening to my faith. In Isaiah 1:18 it is said “let us reason together”. That is good Dannie. Are you saying you had teachers who modeled and taught all six virtues, instead of what I believe is the more common combination of understanding that is unimaginative, strong character that is fearful of truth, and generosity based in pride? If so, do you try to model and teach all six virtues, now? If so, is there any reason to model and teach anything else? And if there isn’t, why all this research-based stuff? If you read my book, chapter 8 is my explanation for why our social science improvement paradigm is another set of beliefs (myths) that we currently take on faith. Or have you seen research-based approaches to education that have improved student learning? What did that look like? Was improved learning the result of applying the research? Or was it the result of bringing the six virtues into the situation — especially teacher and student imagination, courage, and humility?